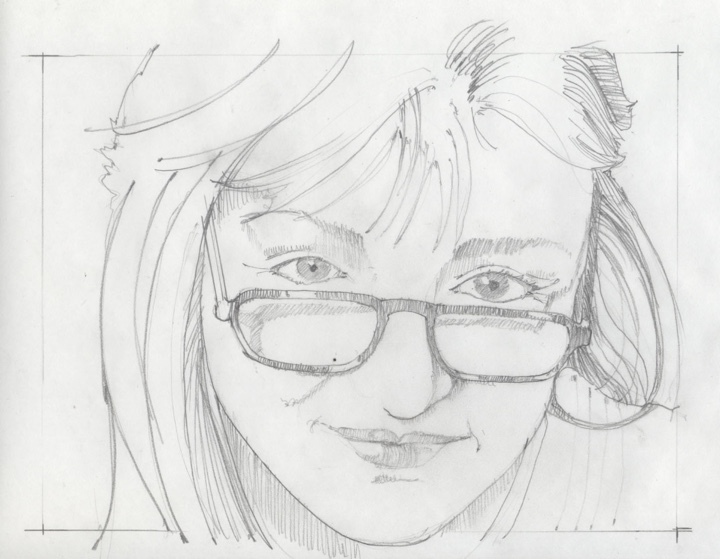 Continuing the ongoing series of interviews with creative artists working on various aspects of movie and TV productions, it gives me great pleasure to welcome Alison Ford. Her portfolio spans the worlds of theater, corporate marketing, architecture, illustration, interior design and museum exhibits, as well as extensive work on episodic TV productions including “The Americans”, “White Collar” and, most recently, the first season of “Mr Robot”. In this interview Alison talks about splitting her time between her various projects, the frenetic pace of episodic television productions, a typical week in the life of an art director on one of her shows, and a deeper dive into the particulars of “Mr Robot”. Alison: In college I was a fine arts major, wanting to be the world’s greatest painter. In graduate school, I studied stage design; I was going to be a Broadway star. After school, I started designing sets in a variety of theaters around the country. Life interrupted. In my late twenties, eight months pregnant, I started teaching theatre design. First at Plymouth State College in New Hampshire, then later at the University of Iowa where I led the undergraduate and graduate design program for the theatre department. In the middle of my life (three children and one marriage later), after I’d been tenured at two Universities, I spent a year walking around the block in my bucolic Iowa City neighborhood. I arrived at the conclusion that I wanted to return to New York, the home of my heart, and practice what I had been teaching for so many years. That was just after 9-11. Kirill: Your career so far took you into theater, corporate marketing, architecture, illustration, interior design, museum exhibits and extensive work on episodic TV productions. Is there any creative overlap between these fields, and how work in one affects your work in others? Alison: Indeed there is. I came to New York with a job at a large firm, designing corporate marketing environments. After a year of selling football and aspirin, I started working for a theatre design consultant and an interior design firm, and occasionally designing museum exhibits. In all those tasks my job was to design and render evocative environments. I learned a good deal from my colleagues in these jobs: how to build a drafting template, how to render quickly in Photoshop, and how sometimes a color palette can be more about texture and value than hue. I was granted access in all these fields because I had the passport of strong studio skills (something I emphasized to my students when I was teaching). Kirill: How different was the change of pace going from the world of theater to episodic TV? Were there any unexpected surprises during your first couple of TV shows? Alison: Luckily on my first few TV shows I worked as an Assistant Art Director, designing and drafting sets for other, experienced Art Directors. I learned to draw/draft/model pretty quickly. I would describe the different rhythms of designing for theatre vs designing for television in this way: designing for theatre is like doing a contour drawing, lovingly tracing the shape of a negative space for five or ten minutes. Designing for television is like gesture drawing, capturing the essence of a walking figure in thirty seconds. Now working as an Art Director, sometimes I find myself saying to my set designers “Draft it in Magic Marker!” Meaning, that I want them to draft gesturally, schematically for that particular set in that moment in time. Kirill: You’ve worked on almost all the episodes of White Collar. How demanding a job is it to do a 16-episode season, year after year? Alison: The biggest challenge in working on a long-standing show is building and maintaining the health of a family. You work with the same grips, gaffers, carpenters and painters, season after season, and your daily experience is going to be much better if you respect them, show them a little love, and do your job with diligence. Kirill: Can you go into more detail into the structure of art department on one of the shows you’ve worked on so far, and the scope of the work of an art director in the TV world? Alison: Right now I’m working on the first season of an NBC Universal show for Hulu. It’s a first season so we’re busy establishing the standing sets and the characters who inhabit them. We have to do a swing set (a one-off), the Shaman’s Yurt. We have to do two of them actually; one exterior that plays on location in the woods, and one interior that plays onstage. The production designer sends me some research images of Yurts, and he goes off to scout locations for the next episode. I have to learn what a Yurt is (a tension-dependent circular structure with a wooden armature and fabric skin), and ask our Art Department Coordinator to do more visual research. I ask one of our Assistant Art Directors to try and fit a 20′ diameter yurt in our stage plan among our standing sets. While he’s doing that I call the construction grip to inquire about the condition of the grid above that area. I learn that one of the Yurts could play as early as ten working days from now, so I ask our Art Department Coordinator to spend $3500 on two partial Yurt Kits (even though the budget hasn’t yet been approved). After consulting with the Construction Coordinator I decide we can’t build the yurt entirely from a kit as we have to wild (remove) some sections of it. While our first Assistant Art Director is busy drawing director’s plans, our second Assistant Art Director drawing another set that has to go out for production. So I start an estimate drawing of both Yurts. I’m anxious to send out those drawings as quickly as possible so that I get budget numbers quickly and so that department heads know what’s coming down the road. We have a fire inside and outside both Yurts – FX, The exterior Yurt wants to be translucent – Electrics, Both Yurts require tropical foliage – Greens, and some sections of the compound curves have to wild – Camera. We have a terrific Art Department PA who prints and distributes the drawings at the speed of lightning. On the third day the Production Designer, scouting in the van with the director, reviews the preliminary plans with the director; there will be some adjustments. I keep drawing. On the fourth day the Production Designer, The Decorator, and I discuss a furniture plan, more adjustments. The Production Designer goes off again to open sets and scout more locations with the task of choosing the fabric to be used. Meanwhile I visit the shop to speak with the Construction Coordinator and Shop Foreman about engineering this thing, the Construction Grip about flying the ceiling, the Charge Scenic Artist about painting a Peruvian Dado, and the Set Dressing Foreman about applying the fabric. The following day I revise the estimate drawings, turning them into construction drawings. I learn the budget is approved, and send out the construction drawings 7 working days before the first Yurt shoots. Kirill: You had a two-year overlap between White Collar and The Americans in 2013 and 2014. How busy was that time for you? Alison: It was quite busy. I worked on the inaugural season of The Americans, and it was the hardest job I’ve ever done in this field. I liked the production designer, the scripts were good, and researching was fun. But money was tight, the UPM difficult (Unit Production Manger), and Hurricane Sandy flooded our stages days before we were supposed to shoot. I’m sure the show is running more smoothly now. Kirill: In the last few years we’re witnessing a migration, if you will, of a lot of talent from the world of motion feature films into the world of episodic television. Would you say that this raises the bar for all departments involved in these productions? Do people expect more from the art department on these shows? Alison: It’s not uncommon for Directors, Writers and Directors of Photography to want to reference or recreate large sequences from movies. This has its challenges on a television schedule. Television and film craftsmen have the same skills. They tell the same stories in different rhythms. It’s not unlike the difference between prose and poetry. Both are useful, both evocative. I think one of the causes or perhaps one of the results of that migration is that at this moment in time, television carries our culture. Kirill: What kind of research went into creating the physical environments from the 1980s on The Americans? How much of a “stretch” was it to imagine the quite secretive setting of a Russian embassy during the Cold War days? 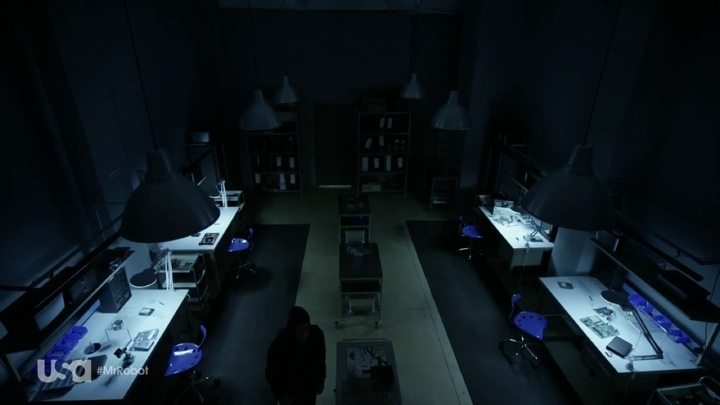 Alison: Credit where due, The Production Designer, John Mott did a lot of that research before I arrived. He came on the job a couple of weeks before I did, and when I arrived I did some additional research. We theatre designers love our research. It can legitimize the wildest concepts. 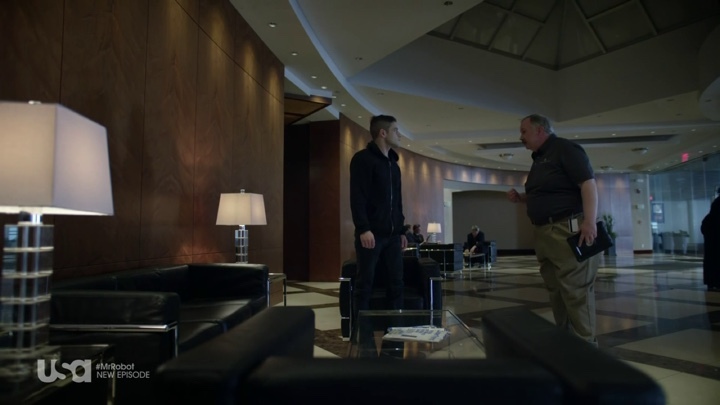 Kirill: When and how did you join the first season of Mr Robot? What kind of a process you go through when you join a new show? Alison: I came on Robot with Stephen Beatrice, the production designer. We had done White Collar together. 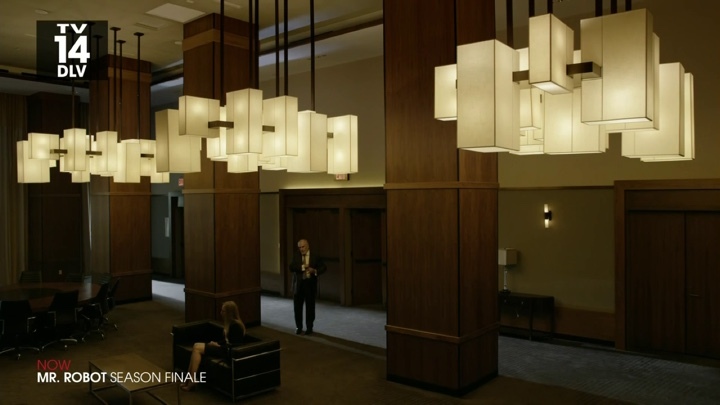 It was not unlike starting other shows; Day 2 the producer is asking, “How much is this set going to cost?” You start a show with a little research, and you hire a bunch of the best Assistant Art Directors – Set Designers that you can, and hope they draw fast. 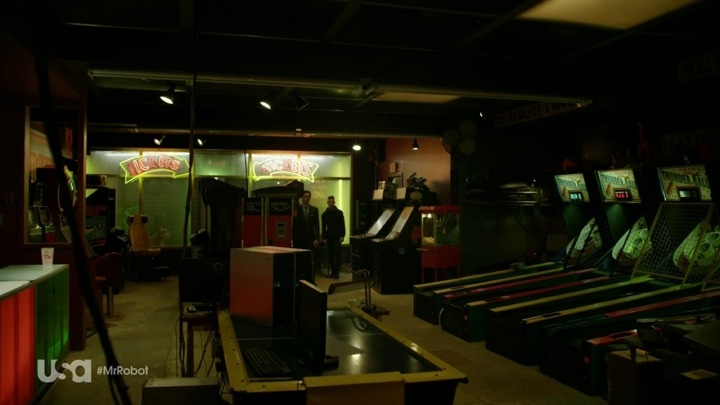 Kirill: The sets on Mr Robot are quite striking – the game arcade, the corporate offices of Allsafe, the residence of Tyrell and Sharon Knowles just to name a few. How much was built on set, how much was on location, and what kind of work went into imagining and materializing those sets? Does the smaller number of episodes on the show translate in any way into the amount of work needed to create the sets? Alison: The pilot was in the can when we came on board. 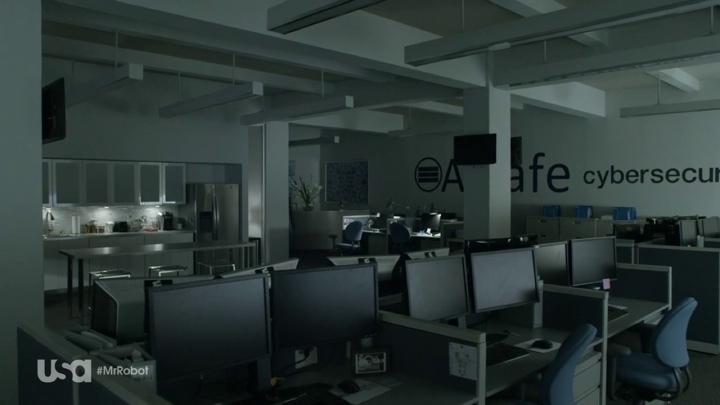 The corporate offices of Allsafe were established in the pilot, designed by Matt Munn and art directed by Anastasia White. They were shot in a midtown location. When you make a pilot you have huge ambition and tiny budgets. You have to be something of a wizard to design, build and dress all those sets on $27. We took what was shown in the pilot stretched it a little, added some texture, tweaked the traffic pattern and built it in the studio. 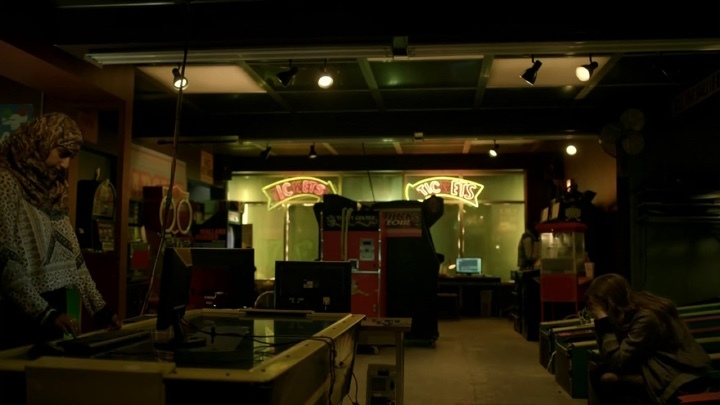 The standing sets for Robot include Allsafe, the Arcade, the Therapist’s Office, Elliot’s Apartment, Shayla’s Apartment, and the hallway that connects them. All the rest were shot on location with the exception of the occasional swing set. Kirill: If you don’t mind me asking, where did you manage to get all that wonderful old computer equipment for Edward Alderson’s computer shop, and how much of it was real and still functioning? Alison: Credit where due again. The Decorator, Tora Peterson, corralled those wonderful old computers. I think she time travelled. Kirill: As the storyline of the first season weaves across recurring and new sets, how would you describe your typical (if there’s even such a thing) week during the middle of the shooting schedule? Alison: Seven days out before photography begins you hope to have an approved budget. You don’t know what day the swing set that has to be designed, built, painted and dressed within those seven days. Additionally there are design needs of the locations that have to be addressed, and you have to publish a work calendar. You survey, you draw, you publish, you schedule, and you hope for the best. 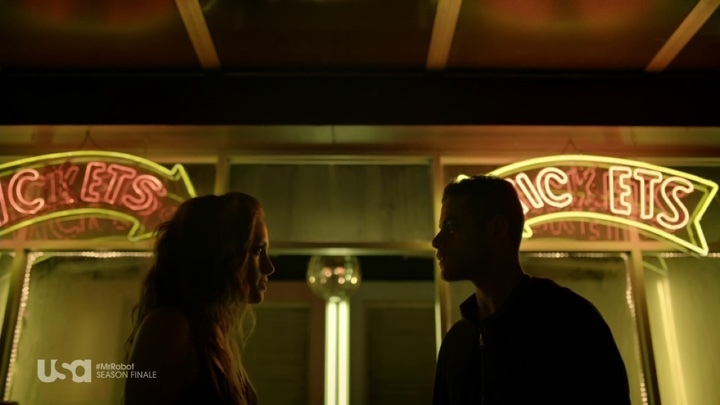 Kirill: What’s the favorite set that you’ve worked on for the first season of Mr Robot? 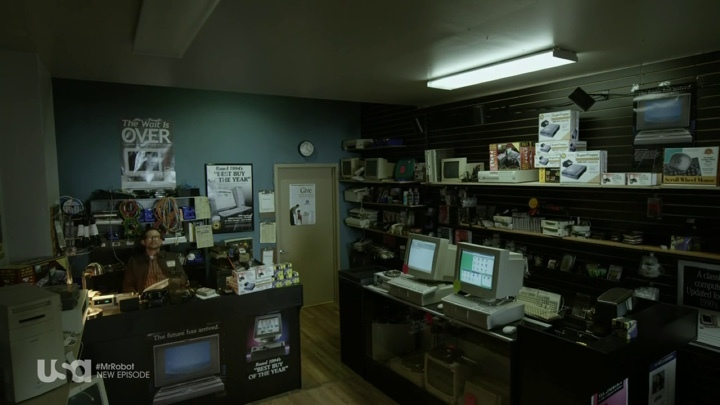 Alison: The Arcade. We needed a ceiling that echoed the original location, but in the studio had to conform to code allowing the ceiling sprinklers to saturate the set in the event of a fire. I found this company in Ohio that manufactured perforated plastic sheets. We had an aluminum frame built into which we fit those panels and had a lovely, lightweight ceiling that could be translucent or not, depending on lighting. Kirill: As the first season wraps up and goes into post-production, what stays with you and what fades away? Alison: The rigor of a first season and the talent of the company stay, the headaches fade away. Kirill: Do you get to enjoy watching the final versions of the episodes and seasons you’ve worked on? Do you get distracted, perhaps, watching how the sets you’ve created are captured on the camera? Alison: Occasionally I get to see my work on the screen. I try to stay with the story and hope the environments support it. Kirill: Do you try to keep up with what your peers are doing in the world of episodic television and feature film? There are so many great stories being told and so little time to watch them, at least for me. Alison: That’s the truth. Some of my colleagues are doing great work. I do worry a little bit that the current explosion of production could dilute the quality of the work. But so far, I haven’t seen it. Kirill: What’s next for Alison Ford? Alison: I don’t know. I do know on Monday I have to review the dado decoration of a Yurt. And here I’d like to thank Alison Ford for graciously finding time in her busy schedule to answer a few questions I had about her art and craft. Stay tuned for more interviews on behind-the-scenes of making movies and TV shows in 2016!